New update to version 0.6.4 for the T-rex Nvidia GPU miner that brings support for a new algorithm – hmq1725, as well as significant improvements to already supported algorithms. 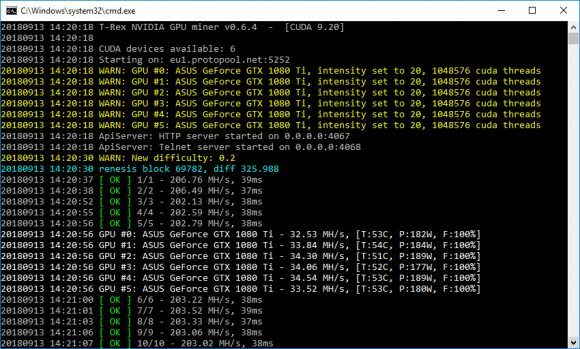 With the new T-Rex 0.6.4 you can expect to get abut 5-15% performance increase in x16r/s, x17, sonoa, c11, bitcore and renesis, depending on the GPUs in your mining rig. 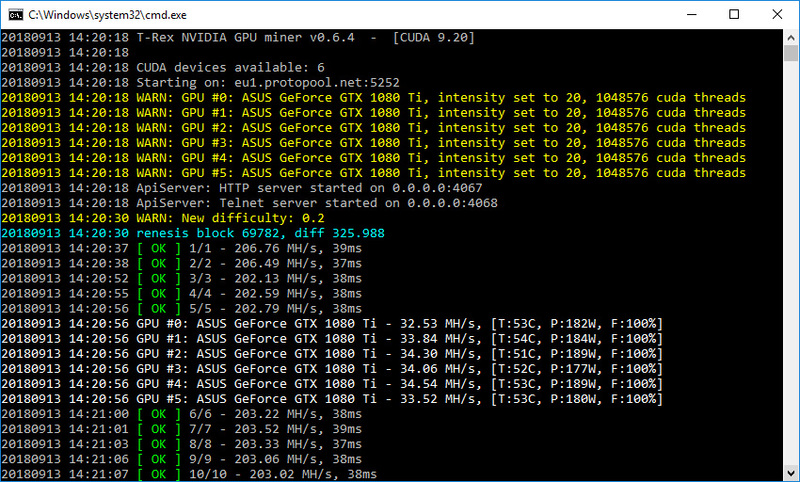 So definitely worth updating to the latest version if you are using the miner to mine any of the supported crypto coins on your Nvidia-based mining rigs. Do note however that the T-Rex is a closed source miner with 1% development fee built-in. Also make sure you have a recent video driver installed as the binaries for both Linux and Windows are compiled for CUDA 9.1/9.2.